Company Name: Special Learning, Inc.
Short Bio: Jennifer is a dually credentialed professional, licensed and certified as a Speech Language Pathologist and Behavior Analyst (BCBA). Jennifer is a dually credentialed professional, licensed and certified as a Speech Language Pathologist and Behavior Analyst (BCBA). She possesses expertise and advanced skill in teaching language to children on the autism spectrum having worked in Early Intervention, Preschool and School environments. 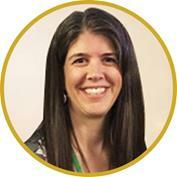 She has participated on IEP teams as an SLP and BCBA supporting behavioral, communication and academic goal areas. Over the past 10 years, she has successfully meshed both fields to support individuals with autism and their educational teams. Jennifer conducts training for a variety of audiences including educators, related service providers, administrators, parents, para-professionals and undergraduate/graduate students across disciplines. Presentations are delivered as part of school based staff training, local and state conventions, as well as guest lectures for local universities. She also maintains her volunteer adjunct faculty position at the University of New York at Buffalo, where she was formerly a part time graduate clinical supervisor.